Chapel -The climate-controlled Queen of Apostles Chapel provides an appropriate atmosphere for the monthly Saturday Masses of Remembrance held the 3rd Saturday of each month and as an alternate site for grave side committal services at a family’s request or in the event of inclement weather. Extended prayer services and viewings may be scheduled for 1:30 p.m.
M-F Additional fees will apply. 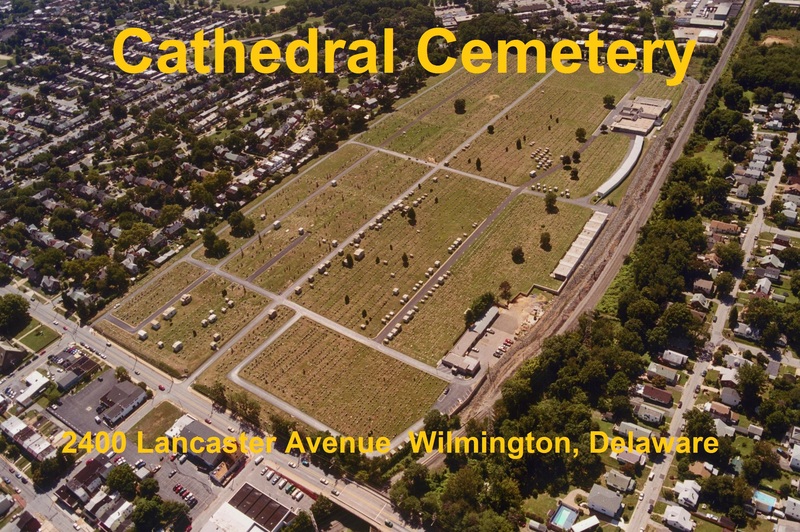 Community Mausoleums -The Queen of Apostles Crypt was built and dedicated in 1963 offering our Catholic families the opportunity for above ground entombment in a community mausoleum for the first time in the Diocese of Wilmington. The Phase I Expansion took place in 1996 and the Phase II Expansion was recently completed and dedicated in 1999. 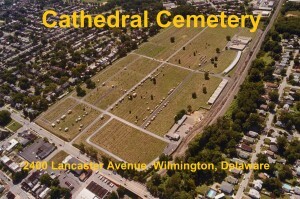 The Phase II Expansion offers the only indoor entombment facility in Delaware. Mausoleum Crypts and Cremation Niches are available in the Chapel area (limited availability) or within the facility itself. The impressive Christ the King Garden Mausoleum was erected near the entrance of the cemetery. A large variety of crypts and niches for cremated remains are available. 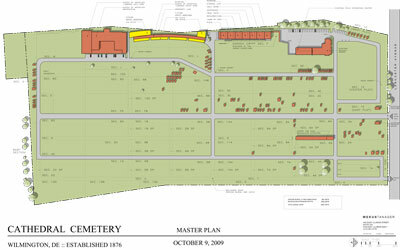 Graves Section U is open with availability of upright monument space. Prices are $1700.00 for grave space that allows for a lawn level memorial and $1900.00 for space that allows for an upright slant monument. Our Garden of the Good Shepherd is a section for cremation in ground burials and the purchase price of $1150.00 includes a pre-set urn vault. Located on Lancaster Ave, DE Rte 48 midway between downtown Wilmington and Hockessin.